Around two years ago, the UCI announced their partnership with the FISE World Series and incorporation of BMX Park. Just shy of one year ago, it was announced that BMX Park would be included in the 2020 Olympics Games. Today, we’re announcing that the UCI has taken their next step into BMX freestyle and will begin regulating Flatland competitions at all 2018 FISE events. What does this mean for Flatland riders? Well, at UCI events, those competing are going to have to get licenses and abide by a stricter set of rules. However, this may eventually lead to Flatland riders gaining support from national governing bodies - much like we have seen in BMX Park - and also potentially puts Flatland on the radar as a future Olympic sport. The UCI is officially sanctioning Flatland. Why? It's the next step. After Park was integrated in 2016, the plan was to add Flatland to the UCI program in 2017, but it came too soon. Now that we have everything in place, it's time to welcome the Flatland family. What were your initial thoughts on this change? BMX Freestyle is more than Park alone. To introduce other disciplines to the UCI makes sense, actually. With Flatland also being part of the Fise World Series, it was a logical step to turn these Flatland comps into official UCI BMX Flatland World Cups in 2018. Will you be overseeing Flatland, as you have been park? It's a team effort. I work with UCI BMX Coordinator Kevin MacCuish as the BMX Freestyle advisor for the UCI and am making sure the right people are involved with BMX Flatland, just like in BMX Park. Which - if any - riders were influential in making this happen? Most of the top Flatland pro riders, basically together with the Hurricane company - organizers of the FISE World Series. With the knowledge of this group combined, we got what was needed to help point Flatland in the right direction. What has been the general reaction from the Flatland community to this news? Nothing but positive feedback. Like in any BMX Freestyle discipline, there has not been much of an international structure when it comes down to rules and regulations, an international calendar, or a ranking. Now, with 190 national cycling federations being introduced to BMX Flatland, we can only hope to grow the sport in the future by laying a solid base for BMX. Everything we know about park in the UCI continuously relates back to The Olympics. Do you see Olympic potential in Flatland’s future? With BMX Park being introduced in Tokyo in 2020, we have the first chance to expose BMX Freestyle to the IOC and the rest of the world. We'll be there putting in a good program for BMX Park, so it will be a promotion for BMX. What will the contest format be? Do the judges have to be sanctioned by the UCI? Any word on who the judges will be? We aim for UCI sanctioned judges at all events. Some of the judges are Martti Kuoppa, Kotaro Tanaka, Alexis Desolneux, and Frank Lukas. I know the first year the UCI was involved in park, riders didn’t need a license. Do Flatland competitors need a license to compete in 2018? We very much take the same approach for Flatland like we did for BMX Park in 2016, meaning the first year riders who enter the UCI BMX Flatland World Cups do not need a license to enter, but will have to sign a form at registration acknowledging that they'll follow the UCI rules and regulations at that event. In 2019, it will be mandatory for riders in the pro class who want to enter the UCI World Cups to have a license, which they can get through their national cycling federation. What Flatland events will be UCI sanctioned? All five UCI World Cups in 2018 kicking off with Hiroshima, Japan in April, followed by Montpellier, France in May, Edmonton, Canada in July, Budapest, Hungary in September and Chengdu, China in November. All events count towards the UCI World Cup ranking. We will crown the first UCI BMX Flaltand World Cup Winner in Chengdu in 2018. Will there be a Flatland world championship event - much like there was for Park in 2017? For the moment, that is not the plan in 2018. We will see how the first world cup season develops and then begin planning for this. Are there any Flatlanders representing the discipline within the rider commission? Yes. The BMX Flatland community is represented by Viki Gómez in the UCI BMX Freestyle Commission. Was Viki - as the representative of Flatland in the commission - elected or appointed? The UCI Management committee appointed Viki for the spot. Nina Buitrago is part of the BMX Freestyle Commission as an Athlete Representative, elected by the riders during the 2017 UCI Urban Cycling World Championships in Chengdu, China. Ryan Nyquist is also a member of the UCI BMX Freestyle Commission together with a few others, but Viki Gómez will be representing BMX Flatland. What do you think this could potentially bring to the future of Flatland riding? That, of course, remains to be seen, but with BMX Park being added to the Olympic Games, it has opened many doors and has created jobs for former BMX riders at the federations. Top riders in several countries are receiving support in ways they never had before. Regarding Flatland, I would say having a structure to build on in the future is the first benefit. Having an international calendar for Flatland in the upcoming years would be good as well, with events run in the same way - according to the rules that the BMX Flatland gurus have come up with. 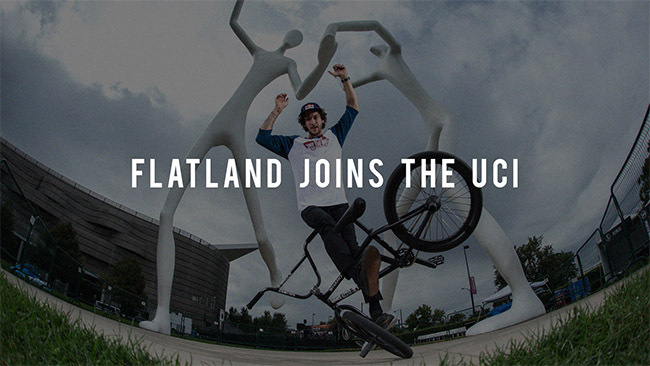 Being part of the UCI family gives Flatland a push and who knows where we can take it. Are any other BMX disciplines currently be considered by the UCI? To do things right, we need to take it step-by-step. BMX Freestyle does have more disciplines that would work, but we would also need the support from the BMX community to set it up correctly. Plenty to think about, but nothing set in stone right now. 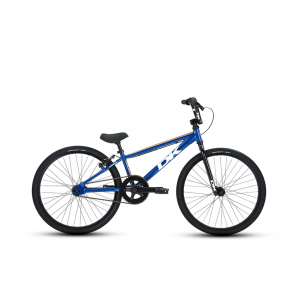 At the core, you’re a BMX rider. Pretend this a private conversation. 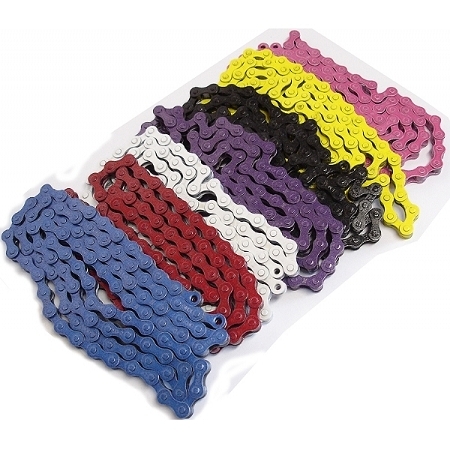 After being as involved as you are, what do you think of the UCI? With their lack of BMX Freestyle knowledge, for them it was important to seek advice in that field. With the IOC interested in adding BMX Freestyle to the Olympic Games in Tokyo, there was not much time to get things going. Instead of being on the sidelines waiting to see things develop in a certain direction, I checked in to see what sort of help they were in need of. I had worked with the UCI on the media side at the BMX Supercross World Cups for several years and got to meet Kevin MacCuish. I had a decent idea of the organization that was now getting involved in BMX Freestyle. Instead of picking up a local kid on a BMX bike to help set up a program, I was chosen to get things set up. Because of the way Kevin and his superior, Peter van den Abeele, operate, it has been a pleasant work relationship with mutual respect. If it wouldn't have been that way, I would not have lasted this long. We're taking things step-by-step, but at the same time we're moving forward at a fast pace. After doing UCI World Cups in 2016, we added the UCI Urban World's in 2017. For 2018, next to the World Cups and World Championships, we also run the Youth Olympic Games in Buenos Aires for the IOC. Also, this year we're welcoming existing BMX Freestyle Park events to the UCI calendar and the Olympic Qualifying program for Tokyo 2020 will be announced shortly. It's good to see things are happening thanks to everyone involved.